What is Plasmolifting Centrifuge XC-2415? The company behind Plasmolifting products have designed and innovated a novel idea of a minimally invasive procedure that can be undertaken to correct mild to moderate wrinkles and volume deficit of the face. It is an injection-based material derived from the patient’s blood that can be made using three central pieces of equipment. The Plasmolifting test tubes contain the necessary ingredients to separate the blood components so that only the layer that offers the most therapeutic value is extracted. The Plasmolifting centrifuge spins the tube contents at a fixed rate to delineate the layers for extraction. The Plasmolifting thermostat is the last component of the processing chain that functions to heat the contents in the test tube to 95 degrees Celsius to transform them into Plasmogel. Plasmogel is the final product that is used to inject into the patient’s skin that would lead to aesthetic results. 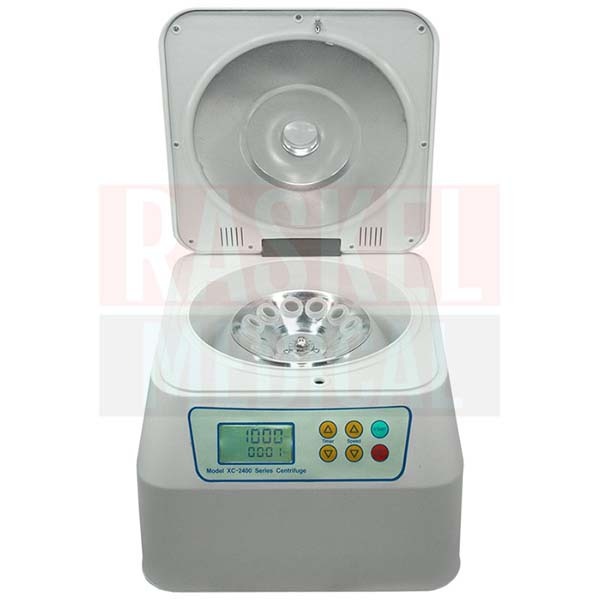 The Plasmolifting Centrifuge XC-2415 is a highly quality lab centrifuge equipped with a number of convenient features such as timers, speed control, auto shut off, and locking lids for secure operation. Furthermore, it can hold up to 12 test tubes of 10ml to 15ml with relative ease. The Plasmolifting Centrifuge XC-2415 can also remember the last setting with the memory function. Plasmolifting Centrifuge XC-2415 is formulated to be a safe and compact centrifuge to be used to separate the aspirated blood components in Plasmolifting test tubes. To produce quality Plasmogel, the Plasmolifting Centrifuge XC-2415 is able to achieve the recommended setting of 4000rpm for five minutes. This ensures that the standard five layers of blood components and the separating gel is present after the centrifuge process. The platelet-rich plasma layer should be extracted so that it can be heated in the thermostat to produce the Plasmogel required to be injected into the skin. Plasmolifting Centrifuge XC-2415 is manufactured by Industrie Biomediche Farmaceutiche, which is based in Scafati, Italy. Plasmolifting Centrifuge XC-2415 is from Italy. Side effects from patients, if they do occur, are not associated with the use of Plasmolifting Centrifuge XC-2415. It is the Plasmogel that is injected into the skin that causes most of the side effects to be seen. Patients typically complain of redness, pain, swelling, and bruising after treatment but these are short-lived and most resolve without any medical intervention. Other more serious side effects such as beading and nodule formation are few and far between. The Plasmolifting Centrifuge XC-2415 centrifuge can be used on all blood types regardless of skin type. There are no hormones or carcinogenic materials used in the making of Plasmolifting Centrifuge XC-2415. The Plasmolifting Centrifuge XC-2415 centrifuge is designed with an electronic locking feature that activates when the centrifuge begins spinning. It has four suctioned feet that can hold the unit in place and also to reduce vibrations. It operates at 90W of power and uses voltage at 120V 60Hz (there is also a 220V 50Hz variant). There are a few Plasmolifting centrifuges that are used to make Plasmogel. They work similarly in that they differ only by their appearance, capacity, weight, power requirements, price, construction design, and convenience features such as the display screen and memory function to remember the previous settings. Other centrifuges such as the Plasmolifting Centrifuge XC-2000 differ by having the capacity for six 10ml and 15ml test tubes and with a less space-constricted design. Extract the required amount of blood from the patient’s arm and place it into the Plasmolifting test tube. Open the lid of the centrifuge (automatically stops spinning when opened to ensure safety). The plastic tube holder shells that are supplied along with the unit should be placed into the centrifuge holes as designated. Balance the centrifuge tubes with specimen tubes of similar volume and weight so that the centrifuge spins equally in all directions. The centrifuged content would also be more homogenous possibly leading to a higher quality Plasmogel. Push the “switch” button to access the time function. You can then push either the + or 0 button to adjust the time. You may set it between one to 60 minutes. To adjust the speed, push the “switch” button again. Use the + or – signs again to set the speed between 1000 to 4000rpm at 100rpm increments. Once done with the settings, push the start button. This particular unit has the memory function; its settings will be saved for future usage. In the event that the test tubes inserted into the tube holder shell is too short to fit snugly, use the soft foam provided by the manufacturer to adjust the fitting. The tubes should be fitted correctly before starting the process for safety and efficacy reasons. As mentioned, it requires 90W of power and 120V 60Hz to operate optimally (220V 50Hz variant available for special order). This equipment carries 12 tubes of 15ml and its settings can be adjusted to spin at between 1000 to 4000 rpm from one to 60 minutes (recommended 4000rpm for five minutes to produce Plasmogel). The XC-2415 would need five minutes spinning at 4000rpm to produce the material needed for the Plasmogel. When injected, the Plasmogel can have lasting effects of up to six months to two years, depending on the area of injection and the patient’s metabolism rate. The XC-2415 unit must be kept clean, dry and preferably dust-free. Use a dustcover whenever it is not in use. Store at room temperature and keep away from direct sunlight.